Food systems are shaped by consumption and demand – we need to always keep this in mind. This truth is increasingly obvious in middle and lower-middle income countries, with their dynamic economies and rapidly growing megacities. Urbanizing food systems are also more complex, for a number of reasons. Food environments and consumptive behaviors are changing rapidly, yet testing how to positively influence or nudge consumption through mass media and social media messages, marketing, and nutrition education lags. A much greater proportion of the value of the food consumed in urban areas is in late stage supply steps such as preparation and food services, yet investment in these steps has been relatively low. Consumer decisions are driving the food environments, yet this fact has been largely ignored by agriculture. It is easy to drown in all the complexity. That’s why I recommend we engage in strategic simplification, to try and break down the food system into actionable, and manageable, groups of elements. This approach has worked in the health sector, and development donors favor it because of its relative simplicity and clearer evidence for impact. On Access – we must acknowledge the importance of cereals: the continuous availability and relatively lower costs of rice have been the backbone of improving diet quality in Bangladesh, for example, and have freed up household budgets for more nutritious foods, such as fish and vegetables, as well as other cash demands. Yet while we need cereal suppliers to continue their good work, we must also acknowledge the need to rebalance policies and investments to be more food-neutral. 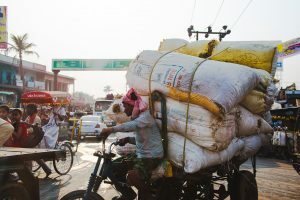 In most low and lower-middle income countries, agricultural policies, investments, and subsidies are overly skewed towards staple cereals, to the detriment of diet quality. Rebalancing would allow greater relative emphasis on improving the efficiency of supply of nutrient dense foods. On Nutrition – there is a legitimate concern over assessing what people eat. In many parts of the world, the scale is literally tipping too quickly from undernutrition to overweight and obesity, with no sign of abatement. To enhance diet quality, the greatest potential for impact will be through consumption of modest amounts of nutrient-rich foods. There is an increasing body of evidence that nutrition-sensitive public programs do work, especially if we pay attention to gender and equity. At this stage, we need considerable primary research on consumption. Then, we can use secondary data proxies such as the Living Standards Measurement Survey Household Consumption and Expenditure data to provide information decisionmakers at national, subnational, and city levels will need. From there, one can make other recommendations, such as combining market-based food solutions and public assistance programs to meet the needs of those left behind. On Safety – the World Health Organization reported in 2015 that foodborne disease bears a global burden comparable to that of HIV/AIDS, TB, or malaria, and the burden is particularly heavy in low and middle-income countries. 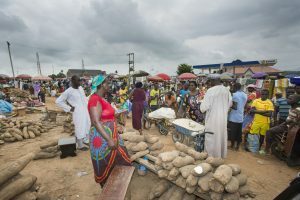 The World Bank’s new report “The Safe Food Imperative: Accelerating Progress in Low and Middle-Income Countries” adds that an estimated $95.2 billion per year is lost in productivity in these countries, to say nothing of additional costs including treatment, foregone trade income, and the environmental burden of food waste. Reporting such as this is quickly moving food safety up the development agenda. It is coupled with growing demand for safe food from consumers who are increasingly consuming nutrient-dense perishables in urban food systems with longer and more complex value chains. In countries like Vietnam, this has resulted in keen attention to the issue from the government, which is working with A4NH researchers and others to ensure food safety is central to food system transformation efforts. Addressing each of these does not imply combining interventions and investments for sustainability and health synergies should be ignored. However, unless there are leverage points with important synergies, there is much to be gained from not making interventions too complicated. Often, different intervention streams operating at different levels in different parts of the food system can be developed in parallel and assessed for synergies, tradeoffs, and unintended consequences. Another simplification is to remember that all our innovations and interventions don’t need to be perfect to be effective. Instead, they should fit-for-purpose in a particular context. Norman Borlaug once described the Green Revolution as a temporary solution – given some of the extraordinary subsidies and distortions associated with it, this very insightful comment has also sadly been forgotten or ignored. We should talk about healthier and more sustainable, rather than healthy and sustainable, food systems. 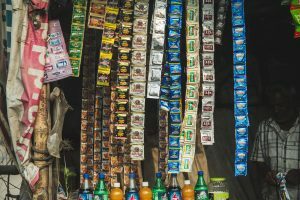 In LMIC contexts, perfect is an elusive goal: these situations are changing rapidly, and so, too, must solutions often be interim and adaptable. Regular assessment and adaptation to unintended consequences, tradeoffs, and synergies of food system changes is critical to enhance benefits and mitigate negative effects. Within the SDG 2.1 framework, it is instructive to look at tradeoffs between the access, nutrition, and safety components. Many of the most nutritious foods are risky perishables, which are inefficiently supplied and whose prices have been increasing, relative to cereals, for 50 years. In Kenya, for example, unpasteurized milk is widely available at less than half the price of pasteurized milk. This milk is produced, delivered, and sold by millions of people and, when delivered in short chains and consumed quickly, is not a major health risk. Therefore, interim solutions to train and certify milk sellers and improve hygiene by using metal containers that can be sterilized have been employed and accepted by the Kenyan authorities. However, as supply chains lengthen, and milk is combined from multiple sources, the informal unpasteurized milk chains will not be sufficient, and cold chains and pasteurization systems will be needed. There are many examples of how risk-based approaches to food safety help to systematically assess and manage access, nutrition, and safety tradeoffs to enhance inclusion and benefits. Acceptance of risk-based rather than hazard-control systems has been a major policy and regulatory advance to food system change. Delia Grace, who leads A4NH food safety research, summarizes the extremes of this tradeoff: if 5 percent of food doesn’t meet an appropriate standard then that food has a problem. If 90 percent of food doesn’t meet the standard, you probably need to change the standard. Invariably, fit-for-purpose and evolving solutions in food systems require applications of technology with institutional adaptations and enabling policy and regulation. We can point to many examples of this. During the more than 20 years I lived in Kenya, I witnessed mobile phones evolve from unavailable to widespread use and effective application for information, communication, and financial transactions. Enabled by mobile phones, technologies, institutional change, and policy all played critical roles in the national food system and other system innovations. Finally, as we consider strategic simplification, we need to be more careful about unintended consequences. Food system and other changes have led to rapid increases in obesity, overweight, and related non-communicable diseases and a lot more attention needs to be paid to mitigating the consumption of unhealthy foods. Often, when we see a problem, we can trace back to the origin. For example, in the last twenty-five years, many low and middle-income countries began importing palm oil and relaxed controls on the mass production of low standard snack foods occurred. Now, many are grappling with unprecedented increases in overweight, diabetes, and coronary heart disease. Snack food consumption is increasing rapidly in India, for example. The country currently spends about 2 percent of GDP on health care, but that could easily triple quickly, and the real costs are much greater. We have seen the obesity problem coming for more than a decade, yet seem almost resigned to watching it get worse. This lack of action stands in stark contrast to the innovative work researchers and policymakers have undertaken to fight undernutrition and hunger over the decades. We return to the original, unforgettable premise: food systems are driven by consumers, and what they demand. In this moment, we have an opportunity to learn and understand those demands, and act to inform decision making in a way that leads to healthier food systems for people everywhere. John McDermott is the Director of the CGIAR Research Program on Agriculture for Nutrition and Health. 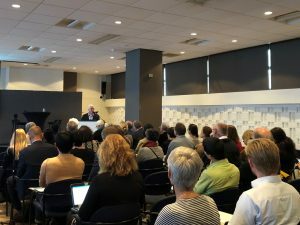 This statement is based on opening remarks delivered at "Towards Healthy and Sustainable Food Systems in an Urbanizing World," a symposium held at Wageningen University & Research on October 19, 2018.